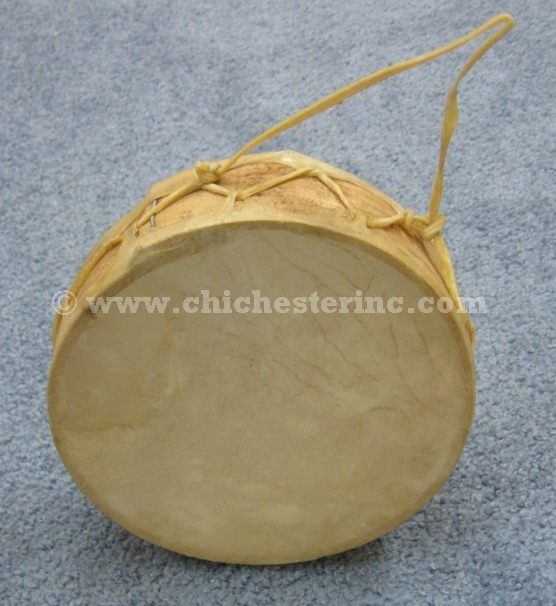 We offer two sizes of the Tarahumara drums. 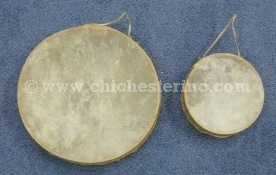 They are made of cow rawhide and wood. 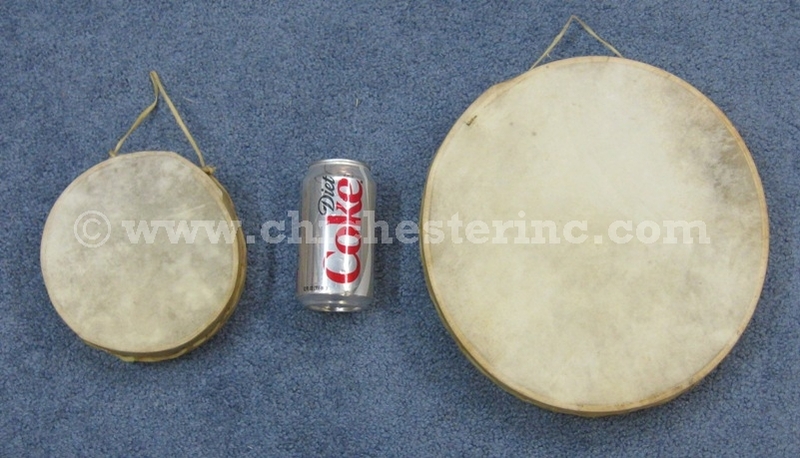 The small drums are approximately 6.5" in diameter, 2" high, and weigh 0.2 pounds. 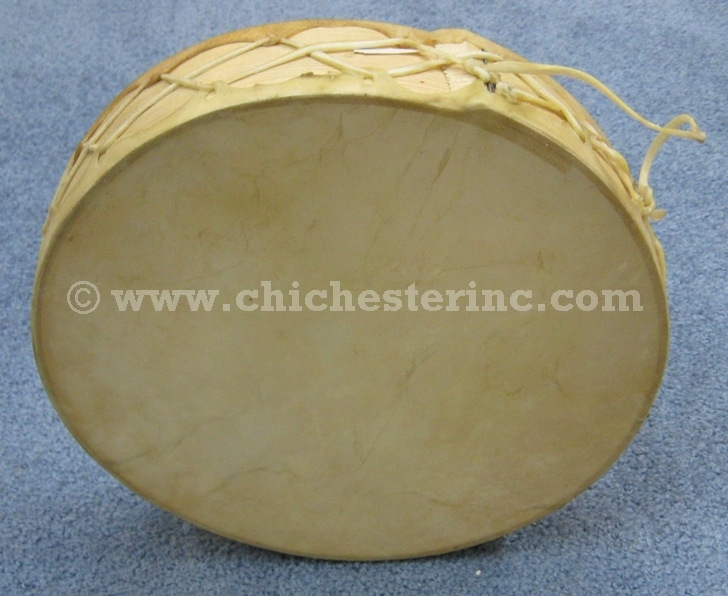 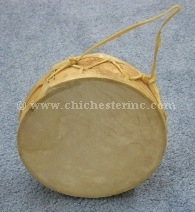 The medium drums are approximately 11.5" in diameter, 2.5" high, and weigh 0.54 pounds.